This article is too cool. I had to reblog it! A seemingly innocuous gchat from my best friend. We send links back and forth – gifs of mischievous animals and, recently, video links of the White House Correspondents’ Dinner and ignorantly racist facebook posts about the ongoing protests in Baltimore. This link–a buzzfeed article about “Salty Girls,” fashion photographer Ian Pettigrew’s latest attempts to shed light and support to others like him who live with Cystic Fibrosis–stopped me in my tracks, caused a couple tears to well up, and led me down an emotional and technological CF rabbit-hole of Alice in Wonderland proportions. I didn’t know it was possible but I now believe a person can actually get worse at interviewing. Rest easy, folks, my Skype interview two days ago went just fine despite the booming thunder and howling winds outside. The connection was strong, and I made the panel laugh a few times with some jokes. I will find out in a few weeks if I made it to the second round, but in the mean time I have some notes about the brilliant things I’ve done during interviews to humor you guys, even some faux pas from this Skype interview. But those days are gone now. The economy is different and I am no longer a bright-eyed, bushy-tailed, 21-year-old with a resume to beat all of the other college graduates in internships, volunteer work, study abroad time and work experience. It’s amazing how fast those things fall off of your resume after you’ve been in the workforce for a little while. Despite having a solid work ethic and giving it my best, I have now fallen level with the rest of the pack. What I have to offer is similar to what many out there have to offer, and perhaps realizing this, my interviewing skills have tanked. When talking about my passion for the community I work with, I managed to burst into tears. I care about them so much! So much I could cry. And I did. 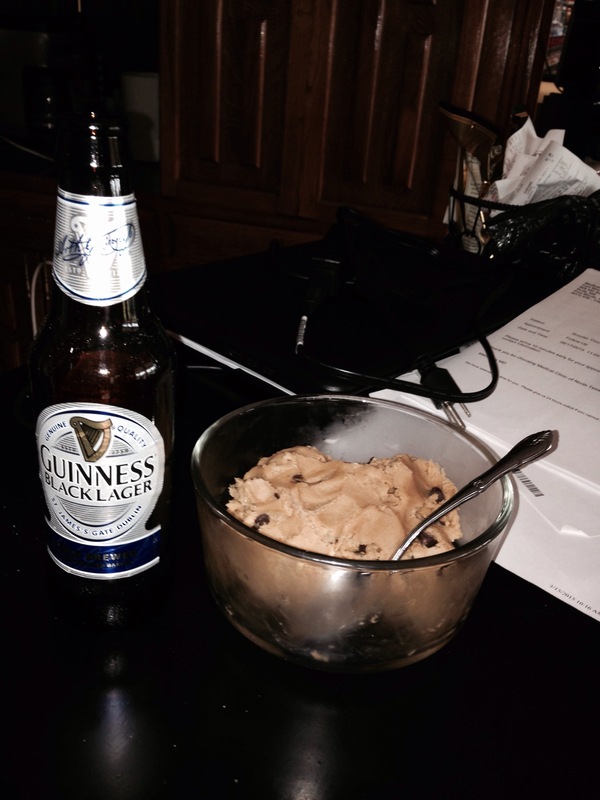 And then later that night…yes, I keep eggless cookie dough in my fridge. All winners do. When asked if I was comfortable interpreting sensitive, inappropriate language from a speaker to a client, I dropped the f-bomb. Twice. You know, just to be sure they got the picture that I was good with that stuff (courteousy of my recent Skype interview). When asked where I saw myself in five years I answered something to the effect of “who are we kidding? Probably right here in the job I’m applying for now.” I suppose I felt we should all just face facts about women staying on the first rung of the corporate ladder as long as we can get pregnant and leave the workforce for decades at a time. When asked about my weaknesses I said I wasn’t good with body parts. True story: I pass out at blood and I’m pretty lousy most of the time dealing with anything medical, but I felt the best way to convey that was to say “I’m not good with body parts.” Brilliant elocution. 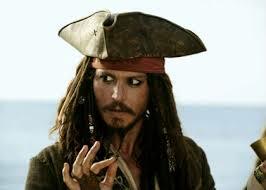 When asked to describe a situation where I had a conflict with a co-worker I began a story, decided it wasn’t a very good one, remembered a better example, began that story, and then finished it off with another story that I thought drove the point home better. So um, apparently I’m pretty hard to get along with. They wrote lots of notes after I answered that one. When discussing the challenges of changing technology in my field of work, I decided the best example was to discuss VHS tapes and their captioning capabilities. Nevermind that I write a blog, manage our office Twitter account or the fact that I’ve streamed tv from my computer for close to five years. Nope, I went with VHS tapes. Winning! I don’t know what comes over me. It didn’t used to be this way. I used to rock at interviewing. Perhaps I’m out of practice but some of the stuff I do on these interviews surprises even me and I’m the person issuing the responses. When does that sagely wisdom stuff kick in? I could use it right about now. Anyone out there want to give it a go? What are the stupid things you have done on interviews? Place a 10 – 12 inch skillet on the stove. Before you turn the heat on, lay out your three strips of bacon on the pan. Then, turn the heat on low. Cook the bacon on both sides just before they become crispy. While waiting on your bacon to cook, wash and scrub the potatoes clean, then dice them. Remove bacon from heat, leave the grease in the pan, and set bacon on a plate lined with paper towels to absorb some grease. Turn the stove heat up to medium. When bacon grease begins to simmer, add the potatoes and onion and give them a quick mix. Allow to cook for about 2 minutes, untouched. Add the chopped pepper, salt, and pepper. Stir things around once or twice. Allow to cook until potatoes become brown, stirring occasionally. Break the bacon into the pan with your fingers, stir in the mushrooms, and cook for 2 minutes. Remove skillet from the heat and flatten out the top of the hash. Using the back of a spoon, make 4 shallow indentations into the hash. Transfer skillet to the oven and bake until the egg whites set, about 5-8 minutes. The saga to get us from Texas to Oregon continues…tonight, the quest to find gainful employment in another state. Let’s start with Company X. At the six week mark since my interview and skills assessment I contacted them about the progress of my application. 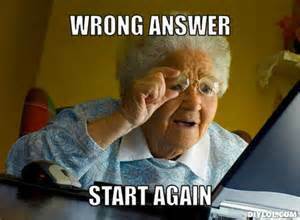 I learned since it is a national company all of the assessments go to a national review board and my assessment is not back yet. They thanked me for my patience and assured me they would let me know the minute my results were in. After checking with some others in my field, this is completely normal for Company X and if they wanted to give me the shaft, I would probably know by now. So, let’s keep our fingers crossed on that one. If I get it, it will be in the Dallas office (2 hours one-way from my house), but hopefully I can transfer fairly swiftly to my new location with the company. Even with all of the waiting, this is still going faster than the last job I applied for. I applied last August, phone interviewed in October, flew up there to interview in November and found that I had not gotten the job I interviewed for, but they would love to have me as a part-time employee for another position in their office in December. I seem to be getting a lot of that. I have a growing list of part-time, no benefits, on-call type positions ready and waiting for me, but finding something with stability and health insurance eludes me still. That brings us to the next interview I have lined up. This one seems to be moving fast. I applied less than two weeks ago and I have a Skype interview tonight. Having never done a Skype interview before, I spent most of yesterday watching tutorials and calling friends through Skype to ask about my outfit and background. After hours of collaboration, the only acceptable plan is for me to sit on my knees in a bar chair with a pressed sheet tacked up behind me, another sheet tacked onto the window to adjust the light of the setting sun and a blanket next to the microphone to reduce the echo. I know, super technical, but my friend in LA that works on movie sets assures me they do this stuff all the time to get the right look. I’m feeling pretty good. Every application I’ve put out there has resulted in an invitation for an interview, but to be fair I’ve only applied for a few jobs directly in my field I am beyond qualified for. I’ve been slow since we haven’t been ready to move just yet, but starting next month if something hasn’t stuck I’m going to apply for 15 new positions a day. So, tonight is a big night. I’ve researched the company, made plans to quarantine my partner and dogs in a bedroom, disabled my doorbell and silenced my cell. Let’s make some magic, people. There’s only one thing working against me now and that is that I have managed to schedule an eye appointment and an interview within a few hours of each other on the same day and didn’t realize it until it was too late to reschedule either. As long as the dilation wears off, this should be in the bag. Hi fellow aviators! It has been one month, one week and three days since I have gone up in an airplane. My first fly-out with the 99s was rescheduled because of bad weather, and I have otherwise been without a plane to train on since quitting the airplane club. To tell the truth, I’ve lost a lot of momentum in the last month. With so many uncertainties in my life with our cross-country move this summer I’ve had a hard time justifying the cost and time away from finishing our house renovations, job hunting and packing to go fly. Even the flight magazines I used to devour the day I got them in the mail have started collecting dust on the shelf. I talked it over with my mentor through the 99s and she advised me to wait until we get to Oregon to pick up flying again. Its a big commitment (in more ways that one) and I am spread pretty thin right now with all of my other obligations. I have no idea what life will bring with this move. 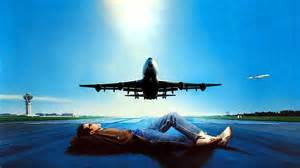 With the uncertainty of it all I was starting to think it would be years before I stepped into an airplane again for a lesson. But this weekend I got an email from the national 99s trustees about the Amelia Earhart Memorial FLY NOW Scholarship and I am pleased to tell you that you are reading the blog of one of the scholarship’s award winners!!! It’s a $3,000 scholarship towards my private license that has to be completed by May 2016. This is fantastic! Not only do I have new resources to keep me going, I have a deadline to motivate me towards my goal. Check your six Oregon, you’ve got a woman on a mission on your tail. Hey! Pilots from Oregon, any good schools you could recommend? I’m leaning towards a 141 program. Drop me a line in the comments if you have any suggestions. We plan to be based near the Portland area. I don’t think you can truly understand a place unless you’ve left and returned to it again. The same goes for our humanity. We don’t truly understand ourselves without understanding where we’re from and the influences that shaped us into the people we become. 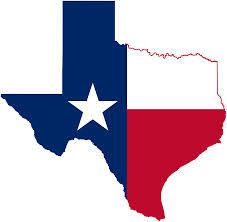 I’m taking a long, hard look at Texas now, because soon I will leave it again and it is inescapably tied to who I am. While I laugh along with the jokes the rest of the country makes at Texas’ expense, they don’t know the place like Texans do. It’s not all guns and boots and rattlesnakes down here. This place is a world of it’s own. *”Don’t Mess with Texas” is an anti-littering campaign. *Horny toads (lots of stuff down here is horned, thorned or needled) can squirt blood out of the corners of their eyes as a defense mechanism. Tell THAT to your junior campers before a hike. *As traditional and conservative as the place might seem, when I was a kid we had an outspoken feminist, democrat for governor – Ann Richards. *The governor of the state of Texas actually has very little power. When the Texas Constitution was written the founders feared a strong central government and gave the governor a pretty mansion, a fancy title and little else. *The Battle of the Alamo was fought in the early morning before the sun was up. Texans know tons of facts about Texas. It’s part of being a Texan. All children brought up in the Texas school system are required to have years of Texas history. In addition, the Texas core curriculum requires all college students have two semesters of Texas history. Every morning elementary school students rise to their feet, place their hands over their hearts, face the Texas flag and recite the Texas Pledge. Then they pivot to the American flag hanging just beside it and say the national pledge. They learn the words to The Yellow Rose of Texas and Deep in the Heart of Texas along with America the Beautiful and the National Anthem. At bedtime we learn about Texas heroes like Davy Crockett and Jim Bowie. Being a Texan is ingrained into your identity. Call it brainwashing. 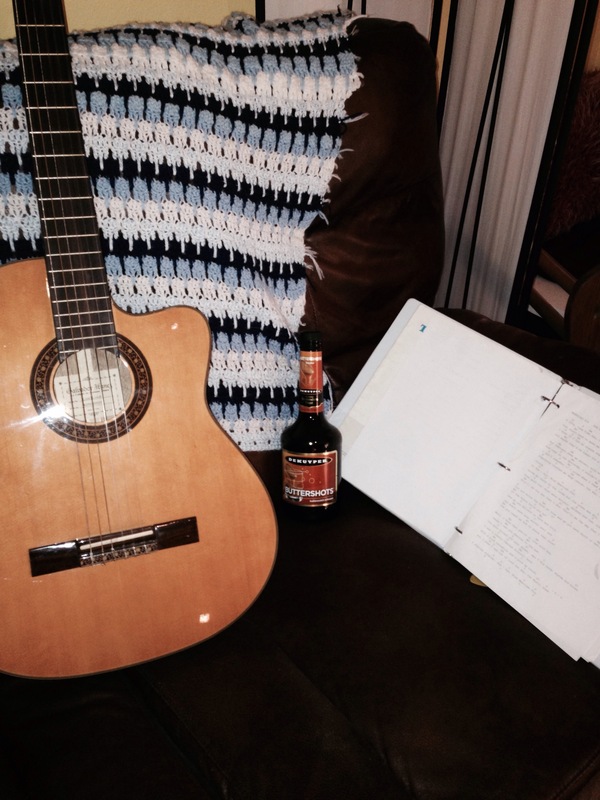 Call it acculturation. Call it pride. Call it a ploy to be sure all who immigrate over the border gather an appreciation of their new surroundings. Whatever it may be, it is. And it is in all of us. But Texas history is really more folklore than fact. It’s not about getting the facts right. (If that were true we would never mention those ten years of complete anarchy that was Texas’ attempt at being it’s own country with such nostalgia.) It’s about giving people a sense of pride and identity with the place they live. For example, you know the famous story about the line in the sand at the Alamo? Apparently before the Battle of the Alamo, when they knew the Mexicans were coming and they didn’t know if reinforcements would arrive in time (which would ensure certain defeat) Commander Travis lined all of his troops up and drew a line in the sand with his sword. He explained the dangers that awaited every soul and asked his men to step over the line if they were willing to stay and fight. According to the legend every man heroically stepped over the line that day. As history tells us, the reinforcements did not arrive in time, they were besieged and Santa Ana killed them all. So it begs the question, how did the story get out if there were no survivors? In a place where anything goes to improve morale in history lessons, pulpits and dinner conversations there’s lots of legend flying around, but tall tales are part of what makes Texas special. Some of the fun has spread to the rest of the country. People from many places have asked me “Is everything really bigger in Texas?” Sure, we have some big stuff, but have you seen the spiders in Australia?! Thank God they don’t get that big here! Have you seen the redwoods on the west coast? Our trees can’t compete with that! We have the second largest canyon in the US, not the first and what we would call mountains other folks would call hills. But Texas itself is quite big. It cannot be defined only by the miles of coast along the Gulf or miles of desert and mountains out west or miles of piney woods in the east or scattered metropolitan hubs that run down the middle or tundra in the north. You can leave at sunrise and still not have crossed the state line when the sun sets. A surf instructor on South Padre Island is just as much a Texan as the rancher in Midland, the business executive in Houston, or the dread-locked student in Austin. It takes a certain amount of folklore to hold together such a diverse group of people that live hundreds of miles from each other. And a certain amount of tolerance. For all of the pride we have about our state, we are by far the friendliest. I’d go up against any state on that wager. In all of my years in Texas I have never heard anyone call someone a “transplant.” We welcome people who move here. We welcome diversity. Just look at Austin – the blueberry in a giant strawberry pie. Not only do we accept Austin, we love it. 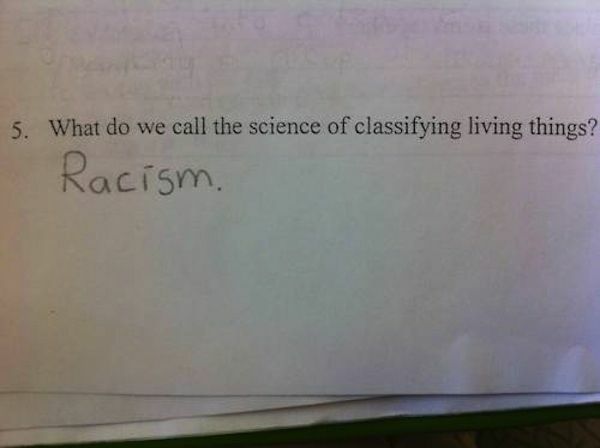 We’re proud of it. We encourage it to be weird and send our children to college there. We send our district representatives there to govern. Texas as a whole is unarguably behind the times on gay marriage, racial justice, women’s rights and religious freedom, but it would be inaccurate to label the whole state intolerant. The main hold-up is not that we don’t want [insert any progressive idea], it’s that we don’t want a central government telling us what to do. Let’s not forget some of the most liberal policies that came out of Washington have come from Texas presidents (LBJ’s Great Society anyone?). President Obama could come to Texas today and announce free bridges for every town and there would be riots in the streets. We want to decide for ourselves if we need or want new bridges. And decide for ourselves we do. It’s far from a perfect system but there are tons of great initiatives across the state improving the quality of life for Texans. But what happens in San Antonio doesn’t touch what happens in Abilene, and what happens in Big Bend doesn’t touch what happens in Laredo. We like it local. Good, bad or ugly, at least it’s ours. For the people, by the people that live right here. Some places are more behind the times than others, but they remain so because of our strong commitment to let the people rule themselves. I have no right to tell people in El Paso or Galveston how to live, but I have every responsibility to tell my city council how I feel about the proposed drilling moratorium and petition them for transgender bathrooms in public buildings. We move slow as molasses as a state, but we decide tons as individual municipalities. It is unfortunate that some of the towns whose practices are vulgar to the human spirit make the news as spokespersons for all of Texas. I won’t argue there aren’t some practices and laws down here that are sickeningly racist or anti-[fill in any of a number of blanks here]. There are. People can be horrible. But people can be horrible in Texas or North Dakota or New Jersey or California. But again, the key is as a whole we’re really not about centralized government and we do our best to love and look after our neighbors whoever those neighbors may be. Its kind of funny that I have not kept these Texas politics in my own life, but I know when in Rome to do as the Romans do. I believe myself to be a global citizen, that injustice anywhere threatens justice everywhere, and I super duper hate my neighbors…but that’s a story for another day. I am a Texan who has left and come back and understand the place better now in a way I never could before seeing more of the world. It is a place that welcomes me with open arms each time I come back no matter how I have changed. It’s a place that is big enough and tough enough to let me air my grievances against it to my fellow Texans. It’s a place that considers cowgirl boots business casual. It’s a place that still calls it “the war of northern aggression.” It’s a place where the State Fair in Dallas is a bigger deal than Thanksgiving. It’s a place that insists strangers greet each other in passing no matter what they look like or where they come from. It’s spring in Texas now, and all of the bluebonnets are out. They bloom once a year and only for a few weeks and they smell amazing. According to local legend…and perhaps state law, it is illegal to pick them or mow them down. For a few short weeks every spring our hillsides and highway medians are blanketed with blue and white wildflowers that withstand our powerful spring storms. 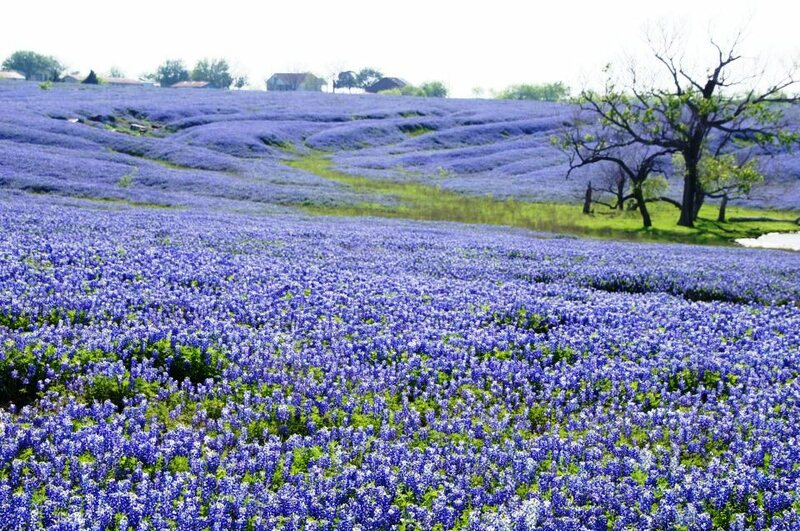 It’s a right of passage here to pose for pictures as a kid in a field of bluebonnets. These little flowers are iconically Texan and somehow despite their brief appearance they have secured their place as the official state flower. I named my blog The Bold Bluebonnet even knowing I was in the process of moving to Oregon because there is something about the place you grew up that will always be with you. And something about these sweet little flowers speak to me. Just as Texas is in me forever and ever. For the past four years we have called a fixer-upper with a great location home. We never want to buy a fixer-upper again. Three years before that we called a rental house in the not-even-near-a-gas-station-or-grocery-store suburbs where children outnumbered grass blades home. We never want to live as extras in the Lord of the Flies again either. Now it’s time to pick our third place together as we shift our focus to the Pacific Northwest. Let’s hope the third time is the charm. I’m writing this for feedback and ideas from the blogosphere because I’ve just opened myself up to the idea of not living in a house. As it turns out, living in a traditional house in the suburbs surrounds you with traditional folks. This is perfect if you are a traditional couple, but we are not. We don’t have kids. We sleep in hammocks. We have one car between us and mostly commute by bike. We don’t wake early on Sundays for church or aim our efforts at winning a gardening award. One of us is terminally ill and might not make it to 40 so we prefer to live now and take it easy later. After living there for seven years, the idea of moving into another house in the suburbs makes me twitch. I can already see the line of mothers outside my door asking me how many children we have and if we’ve found a church home yet. My calendar will fill with baby showers, children’s birthday parties and candle/perfume/jewelry parties I cannot avoid that I will survive by sneaking liquor into my punch and excusing myself to the bathroom. My weekends will be consumed with yard work, paint projects and foundation repairs. No! Life is too short! Not this time! Until a few months ago I thought the only choices were to live in a house in the suburbs, a loft or apartment in the city, a farmhouse in the woods, or under a bridge in a cardboard box. 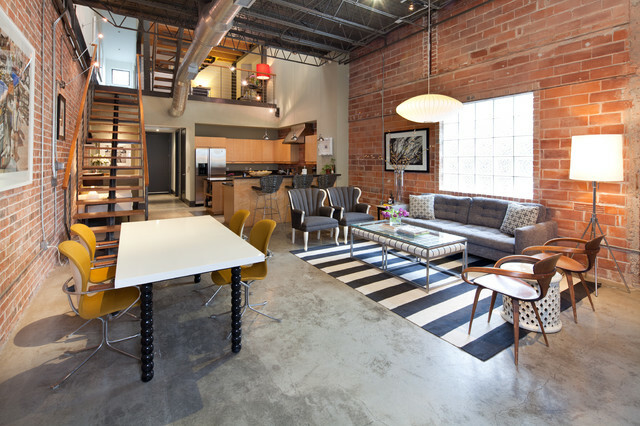 With two large dogs the city loft would not do. With one car and two jobs for two people the deep woods would not do either. I thought a suburban house close to a city was our only option. I was wrong. There are so many more choices! A few months ago I met a couple that lived in a hangar. 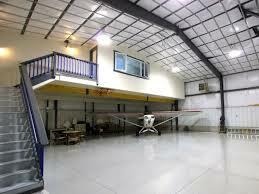 They built an apartment inside an airplane hangar at an airport and lived in it. They invited me out to see their place and I met lots of other people that lived in hangars at that airport. They were as much a community as any neighborhood group. 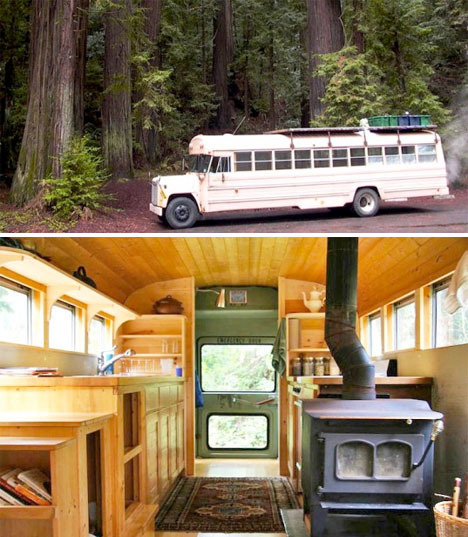 My partner introduced me to one of his friends that transformed an old school bus into a domicile and lived out of it for a few years with the guy she was dating. They took all of the seats out, added some plumbing and furniture and drove it all over the country. I keep meaning to ask her, how did you get your mail? I found some blogs people have written about transforming industrial spaces into living environments. Turns out if you have the know how, you can turn an abandoned factory or church into a shabby chic paradise. Then there’s the whole Tiny House Movement. It fascinates me, but I’m not sure how to make it work with two big dogs and a man who packs three times his weight in medical equipment for a weekend getaway. Real estate in the Pacific Northwest is close to double that in our part of Texas so we have accepted that we will be downsizing. But what we downsize into is still up for grabs. I feel like I have opened Pandora’s Box. What else is out there that I’ve never thought about? Do you, or someone you know, have a unique living quarter? Please share in the comments! This is Gracie. The cat we are trying to keep from crisis mode. We are a little behind schedule with getting our house ready for the market, but still planning to move to the Pacific Northwest this summer. I’m a list-maker and I have a list for everything. But last night when I crawled into bed something happened that made me feel completely unprepared. Gracie, our 15-year-old cat, jumped up on the bed and curled up beside me. She looked so sweet and trusting with her little head across my arm like a pillow. Oh no. How are we going to move Gracie?! Gracie never leaves my side, even when I’m home sick and the sleeping positions are unfavorable. When we took our research road trip last summer I left Gracie at home with a sitter. Our two large dogs came with us and they loved it. We camped under the stars and scheduled stops across the country at dog parks and beaches and dog-friendly cafes. It worked great with us and the dogs, but how do we make it work with a cat? For the better part of 15 years Gracie has been at my side. Through different apartments, roommates, relationships, dogs, and houses. In many ways she is the one constant in my adult life. But none of these changes ever put her in the car for more than an hour or two to complete a move. It hadn’t occurred to me until last night that I would need a game plan for how to get her through a car trip that would last a few days. She’s an old lady now, and the stress of it could compromise her health. I’ve been reading tips for moving a cat and have concluded we need to immediately start training Gracie to associate cat carriers and harnesses as positive things. Tonight we are setting up a new space in our master bathroom for her. The food dish will start in the same room as the cat carrier, then get progressively closer until she learns to get in for food. We’re going to start her sun-basking journeys to the sun porch by putting on her kitty harness. I’m even thinking of spending a few nights with her in our Subaru while it’s parked in the garage so she can become comfortable with a vehicle she has never set paw in. Can anyone attest to the butter paw theory? One post said if you put a little butter on a cat’s paws they stop everything and clean it off then and there. This gives them a place to channel their attention and nervousness and the process of bathing makes a foreign place seem more familiar and comfortable. I’ve never heard that one before, and I’m wondering what butter does to a cat’s stomach? Gracie is the smallest in our house, but still the alpha animal. She will steal as many beds as necessary to prove this point to the K9s. Over the course of her life Gracie has exhibited different car behaviors at different ages. As a kitten she bored of the car quickly and fell asleep in the passenger seat. As a young cat she would meow endlessly, pant and shed profusely until we arrived at our destination. As she got older she remained talkative, but would take turns sitting on the console to watch out the windows and chill in my lap. It’s been a while since she has been in a car, so I’m not sure what to expect at this stage of her life. With older age and living with large dogs she is less skiddish, but what do we do with her when the dogs need to run around for a bit? Do cats camp? Where do you put a litter box in a car (the back seat will be folded down to make one large flat surface for the dogs and their beds)? Anybody moved a cat long-distance with other pets? I’m all ears. But perhaps my favorite thing about female pilots is their ability to network and get clearance into just about anywhere. Last night my 99s chapter was cleared to tour an Air Route Traffic Control Center for a hub airport. It should make all Americans feel at ease to know these places are very secure. When I pulled my car up to the gate to show my driver’s license I was instructed to put it in reverse and park in a nearby lot. I was fourteen minutes early. Even though my name was on a list they received weeks ago, I was not allowed in until exactly 18:00. At 18:00 we were brought into the guard shack, passed through a metal detector, and given required badges made from our driver’s licenses. We were escorted by multiple guides through the gates and down to a nearby building. After a presentation, Q & As and instructions to turn our phones off and not take any pictures, we were taken to the location where ATC personnel were doing their thing. It looked more like a hacker’s basement than an FAA office. It was dimly lit and there were giant computer screens all the way up the makeshift walls. Everyone had a custom built cubicle space. There wasn’t a window anywhere, even by the weather guy’s station. We were escorted two by two into each room to listen in on a phone and watch the ATCs at work. The guy I watched was in charge of one little section of the sky looking at departures from DFW that had cleared the tower. When they left his air space he passed them off to the fellow working at the next set of computer screens. I was amazed at the amount of power and responsibility this guy had even though I barely understood what he was doing. It also gave me my first glance at how commercial pilots converse with ATC. Pilots asked him for clearance to change their course. “Denied.” They asked if he had any shortcuts he could work for them. “Ya, hold on a minute.” They asked about the weather. If he told them to change altitudes, they did. No questions. No protests. Just Roger. My guy was very down-to-earth and friendly but I wonder how many ATC folks start to get god complexes after being the final word on so many people’s lives in the sky all day. I can honestly say it’s nothing like Pushing Tin. John Cusack and Billy Bob Thornton are a far cry from the beer-belied, hunched over gentleman with a “don’t tread on me, I’m eligible for retirement” lanyard I saw. It’s actually quite boring. I sat there for twenty minutes and still couldn’t tell what the wizard in front of me punching all of the numbers and moving this little wheel was actually doing. At one point I joked to myself “does he know he doesn’t move the planes on the screen no matter how many buttons he punches?” Seriously, what’s the point of the buttons?! After a while we were taken back out of the facility. I was glad to go. Interesting as it was to watch people space planes out, twenty minutes of numbers moving around a screen at a snail’s pace in a dark room was all I could take. I appreciate what they do, but I’ll stick to piloting.